Want to try the “natural route” for dealing with your immune problems? Great. 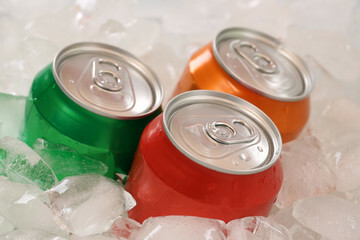 The mixture you are about to see is simple, yet it can improve your health in many ways. It is a little bit weird if you ask me. I mean, the two ingredients don’t go together, but the mixture that is made from them is a health powerhouse. 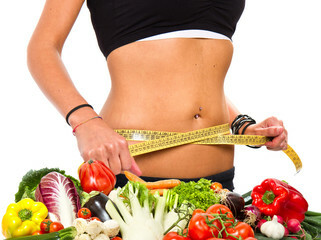 Apart from helping with the immunity problems, it can detoxify your body, and even decrease the stress levels. Additionally, If you have a cold or allergies, this mixture will help you get better faster. Before I tell you how to make it, I will let you know what the ingredients are and why they are so powerful. You probably perceive garlic as an ingredient for cooking, used to flavor food. But, ancient people used it as a medicine thousands of years ago. According to the Journal of Nutrition, an ancient Greek physician by the name of Hippocrates prescribed garlic for a variety of health issues. He claimed that garlic could cure respiratory problems and kill internal parasites. A study called the “Iowa Women’s Health Study” noted that women who ate garlic regularly had a lower risk of getting colon cancer. Another study titled “Preventing the Common Cold with a Garlic Supplement: a Double-blind, Placebo-controlled Survey” found that those who ingested garlic reduced the symptoms of the common cold by up to 70%. This healthy mix can boost your immunity and make you “bulletproof” for colds and bacteria. Also, it can detoxify your body and help you get better when you already have immunity problems. The weird part is the smell. It can be annoying but hey…first get healthy, then you can worry about the other stuff. Whatever you do, consult your doctor first! You will need three to four heads of garlic, a cup of raw honey, and a jar. Step 1: Pill the garlic cloves and put them in a jar. Step 2: Pour the honey into the jar. Step 3: Keep it like that for 4-5 days before usage. Step 4: Store it in the fridge. If you want to take it as prevention: Take half a spoon on an empty stomach. If you want to take it as a treatment for a condition: Take up to 6 half spoons per day. 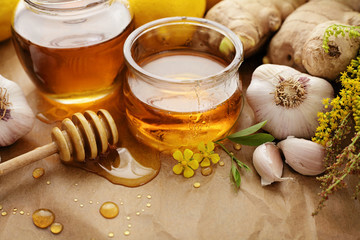 Honey and garlic both contain compounds that can improve immune function and lessen the symptoms of many ailments. 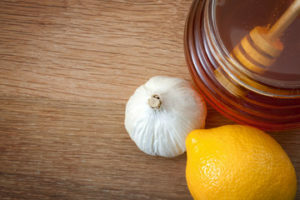 If you drink a mixture of honey and garlic on an empty stomach for seven days, you may notice excellent results. Share this recipe with your Facebook friends.